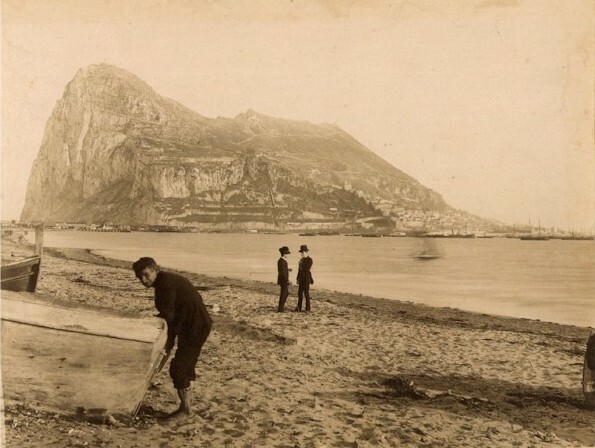 Description: Two men chat on the beach, a fisherman moves his boat. Behind them towers the Rock of Gibraltar. Archivally matted.